Spessartite comes from the Bavarian word, “Spessart”, which is a mountain range in Germany where spessartine garnet deposits were first found in the 1880s. Spessartite is synonymous with Spessartine, though in the gem trade the name Spessartite is more frequently used, and in the mineral trade the term Spessartine is more frequently used. 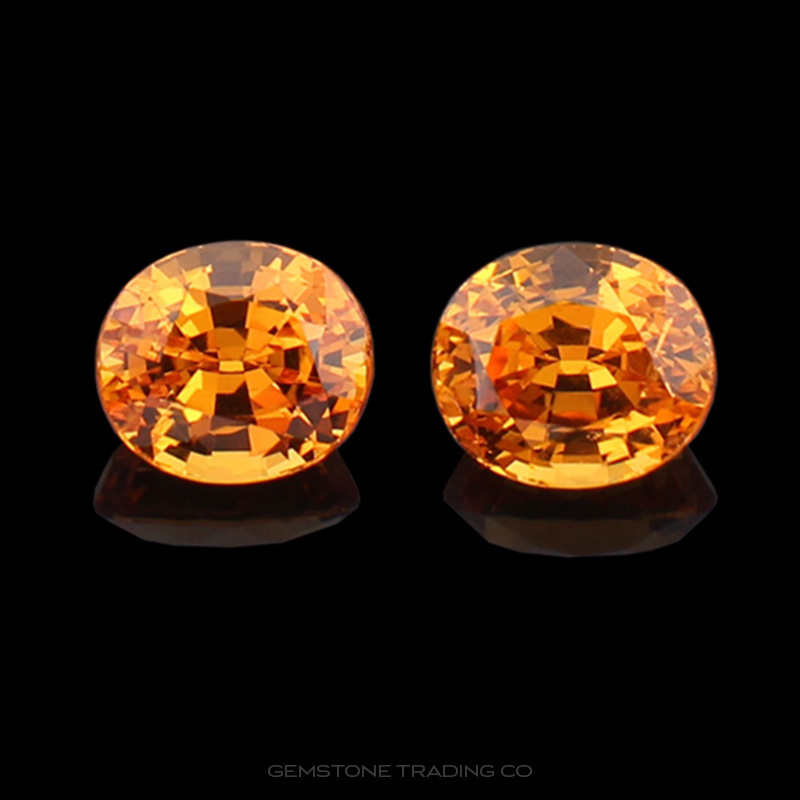 Spessartite shot to attentions of many through an intense, vibrant deposit found in Namibia coined “Mandarin Garnet”. This deposit ran out years ago but the notoriety has remained. They have since found Mandarin varieties in Nigeria, Mozambique and Madagascar but the latter are generally littered with hazy inclusions that reduce the vibrancy of the stones. Spessartite is ideochromatic, meaning that it is coloured by a fundamental element in its composition. That element is manganese, which produces an orange colour. Aside from the bright mandarin colour they also produce neutral oranges and burnt oranges in abundance. They are able to exhibit deep red hues when iron is mixed in too. Unfortunately Spessartites will always be limited in popularity by the relative high quantities of the cheaper quartz substitute of Citrine that have very similar colours (although nothing comparable to the Mandarin class). It should be noted however that garnet is a harder more tenacious stone that has no known methods of enhancement. A much more attractive option for any real gem lover! Where do you get wholesale gemstones and mineral specimens in Sydney? Located centrally in the Sydney CBD, The Gemstone Trading Co is a premier wholesaler of gemstones and mineral specimens to the jewellery trade. Come and visit our showroom to view our extensive collection.